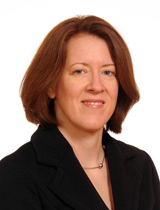 Allison Christians is the H. Heward Stikeman Chair in the Law of Taxation at the McGill University Faculty of Law. Her research and teaching focus on national and international tax law and policy issues, with emphasis on the relationship between taxation and economic development and on the role of government and non-government institutions and actors in the creation of tax policy norms. She practiced tax law at Wachtell, Lipton, Rosen & Katz in New York, where she focused on the taxation of domestic and cross-border mergers and acquisitions, spin-offs, restructurings and associated issues and transactions involving private and public companies, and at Debevoise & Plimpton in New York, where she focused mainly on private equity funds. She taught at the University of Wisconsin Law School, the University of Ottawa Faculty of Law, and Northwestern University School of Law before joining the Faculty of Law at McGill University in 2012. Claudette Allard is a sessional lecturer at the Faculty of Law. She obtained her B.C.L. and LL.B. from McGill University's Faculty of Law in 1982 and is a member of the Quebec Bar and the Law Society of Upper Canada. Me Allard was a partner with the business law section of Fasken Martineau DuMoulin LLP specializing in mergers and acquisitions and private financing, with a background in tax law. She is the author or co-author of several publications in the field of tax law. Robert Raizenne is a sessional lecturer in Corporate Tax at McGill's Faculty of Law. Me Raizenne is a partner with Osler's Montréal office practising in tax law. He has extensive experience in a wide variety of transactions and tax planning matters, including cross-border and domestic mergers and acquisitions, corporate reorganizations and restructurings, corporate finance, international tax and trusts. Robert is also an experienced tax litigator.